The Peace of our Lord Jesus be with you all! 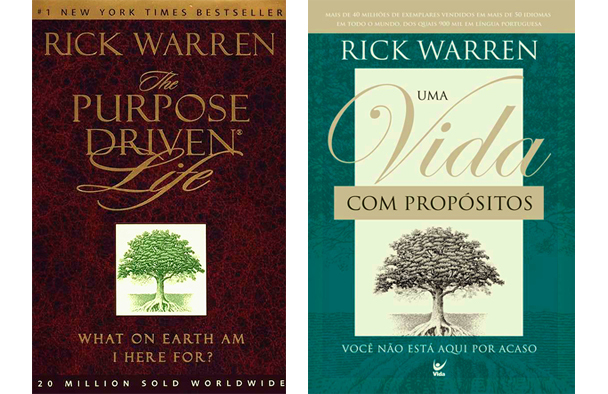 Next Monday, June 20, we will begin the reading of the book The Driven Purpose Life. We already made the devotional reading of this book some years ago and now we would like to enjoy with the church this reading that is very edifying. This online activity is a pioneering initiative in our church, which is looking for to assist the need of cultivation of the communion life with the Lord and with the Church in a more intense and frequent way. You are part of this project. We counted with your participation! We advised all you to read the introduction of the book this week. Make the preparations. Separate a time for reading, to hear the podcast and for interaction online. Maybe many still don’t have a regular devotional life. For this reason the reading of this book will be important too. Follow below some complementally orientations for the reading day by day. To publish ideas, sentences and experiences with the book´s reading in the mural of the group in Facebook and if you wish, interact with the other members of the group. We will be praying for you. Let there the Lord bless you all! Esse post foi publicado em Devotional Reading, News, Presbyterian Japan, Studies. Bookmark o link permanente.